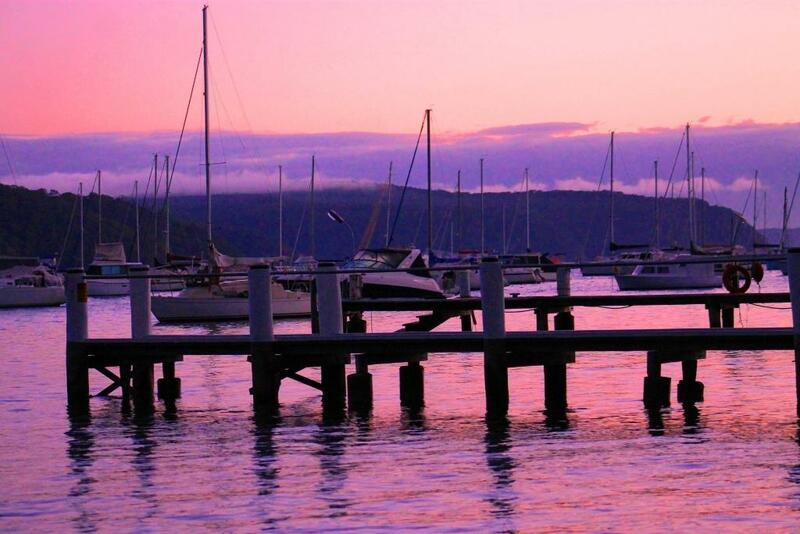 Sunrise on Pittwater - A J Guesdon picture. Mona Vale-based Partners in Recovery recently launched a new publication that shows the way forward for mental health and related services on the Northern Beaches. Called The Way Ahead, the publication presents and analyses data gathered from the first 21 months of Partners in Recovery’s operations. It is the first time this information has been made available, and it will support planning and innovation in mental health services in the region. • Promoting a community-based recovery model to underpin all clinical and community support services being delivered to the target group. “This is the first time such data has been made available and we are encouraging both current and potential future partners in the mental health and related sectors to use it for their own planning, system and service innovation,” said Laurie Bassett, Manager of Sydney North Shore and Beaches Partners in Recovery. • 30% of clients are living with schizophrenia and delusional disorders, often complicated by homelessness and drug and alcohol misuse (compared with 1.5% of Australians experiencing schizophrenia in their lifetimes). “One of the most useful pieces of information to come out of this analysis was the identification of our clients’ specific, unmet needs – lack of meaningful daytime activities, help with psychological distress, need for the company of others, opportunities in employment and volunteering, and support for physical health,” said Laurie Bassett. “We are responding with a variety of partnerships and projects, including the LifePlus life skills courses developed with Northern Beaches Community College, a specially-created program of yoga and mindfulness with the Yoga Foundation, the establishment of street soccer teams with SUPPORT Opportunity and Care Inc., a partnership with Homes for Heroes to support veterans of recent conflicts, and even the creation of carers’ and clients’ choirs. We aim not just to address mental health issues, but also to provide practical support to overcome related challenges such as physical health, homelessness and social isolation,” he said. 3. Narraweena. (Mosman ranked number 4, then Brookvale came in at number 5). o Housing NSW says 70% of renters in Manly are on low or moderate incomes, and considered to be in housing stress. Community Care Northern Beaches (CCNB) is a not-for-profit, non-religious organisation that was established in 1994 and is funded largely by state and federal governments. CCNB supports older people, people with a disability, people with a mental illness, people with dementia and the carers of these people – all living in the Northern Sydney region. The organisation has 50+ staff and manages more than 20 programs, all aimed at helping people who are vulnerable to maximise their independence, wellbeing, and participation in the community. CCNB specialises in providing holistic support for people with complex needs. In 2013/2014 its oldest client was 101 and its youngest was one year old. Community Care (Northern Beaches) (CCNB) was appointed in early 2013 as the agency to manage the Sydney North Shore and Beaches Partners in Recovery (PIR) program. SNSB PIR covers the following areas: Warringah, Pittwater, Manly, Lane Cove, North Sydney, Willoughby, Mosman and Ku-ring-gai. PIR is a Federal Government program designed to support people experiencing severe and persistent mental illness with complex needs, and their carers and families. The program involves coordinating multiple sectors, services and supports to work in a more collaborative, coordinated and integrated way. CCNB’s role as a lead agency is to manage and coordinate these many relationships to benefit clients. For decades James* lived with the fragmented thinking, hallucinations and delusions that go with experiencing schizophrenia without diagnosis or effective treatment. He is now 42 and his illness was only diagnosed a year ago. James held down high profile positions in a demanding profession during his 20s and early 30s but as he grew older and work pressures increased, his thoughts and behaviour became increasingly erratic. Eventually he consulted a GP who referred him to a psychiatrist. However even after sustained consultation, a full diagnosis and an effective course of medication were never achieved. As he experienced further episodes of psychosis throughout his 30s, James lost his job, his wife and his children – and the home where they had lived together in better times. After an episode which resulted in him being admitted to a psychiatric ward for a month, James emerged with a diagnosis and a new medication. Another benefit of his hospitalisation was a referral to the Partners in Recovery (PIR) program by a psychiatric nurse. Following intake, James was paired with a Support Facilitator at Uniting Recovery. Although highly skilled and experienced in his original profession, James’ mental health is such that he cannot hold down a full-time job. He is now retraining as a barista – a role that would combine his love of good coffee with the opportunity to reconnect with people on a professional and social footing. James is also now able to see his children regularly. “Overall my experience with PIR has been very positive, and a lot of aspects of my recovery so far would not have been possible without this organisation. I’m extremely grateful for the work PIR does,” said James. * Names throughout this case study have been changed to protect the client’s privacy.